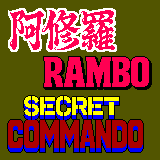 Ashura (阿修羅) / Secret Command (Secret Commando) / Rambo: First Blood Part II - Games - SMS Power! 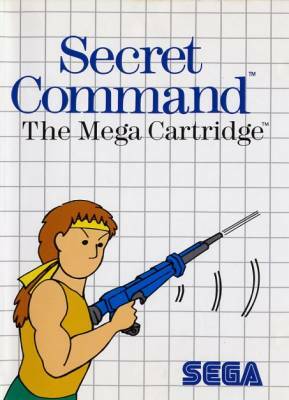 European versions says "Secret Command" on the box and "Secret Commando" in the title screen. 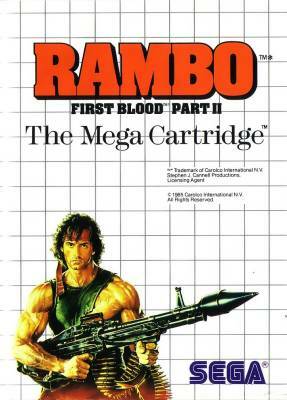 You are Rambo, the super hero of the movies. And you come to life on your own screen. 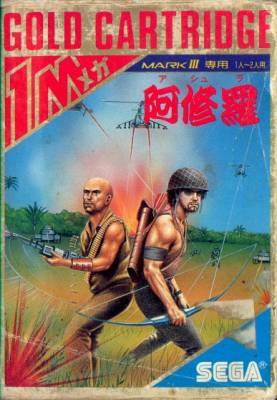 You must go deep into enemy territory to rescue your comrades from concentration camps. Blow those camps. And escape with your skin. It's no picnic. 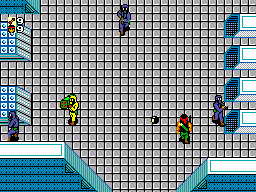 You're menaced by infantry. Artillery. Flame throwers and rocket launchers. Everything the enemy can throw at you. So you must use every tactic at your command. You weapons? Your M 60. A supply of arrow bombs. Your savage strength. And steel nerves. Play the game by yourself. Or with your partner. 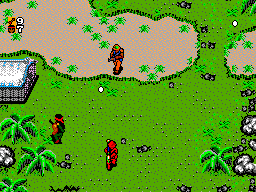 Alone or together, you find yourself in the middle of enough color and action for a battalion to take on. And remember. You take no prisoners. Manual and back of cartridge in Italian. 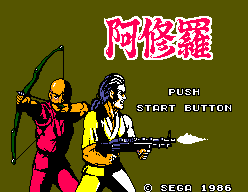 There is a development page for Ashura (阿修羅) / Secret Command (Secret Commando) / Rambo: First Blood Part II. Visit it to see technical discussion of this game.